Do you know who Christy Little Jones is? Christy is a digital diva shero and founder of Mommy-in-Training, a Christian organization that encourages mothers to walk in their purpose while raising their children. She appeared on the April 2nd episode of Sisterhood, the Blog Radio. 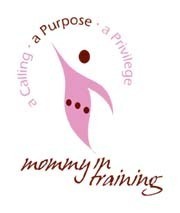 Christy shared her reasons for establishing Mommy-in-Training and information about the upcoming conference on April 24 from 8:00 a.m. to 5:00 p.m. at First Baptist Church of Alexandria, 2932 King Street in Alexandria, Virginia. You can register online. Click here to learn more about the April 24th conference. Click on the link to listen to Christy’s interview on Sisterhood the Blog Radio: www.talkshoe.com/tc/42015. You can also follow Christy and Mommy-in-Training (MIT) on Twitter. Join the MIT online community and Facebook page. NOTE: Christy Little Jones will be featured as a digital diva shero in Ananda Leeke’s next book Sisterhood, the Blog: Soundbytes from the 21st Century Women’s Online Revolution (2011).